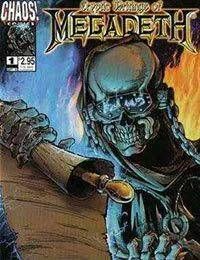 Late 1990s miniseries narrativizing the lyrics to songs from thrash metal band Megadeths 1997 albumCryptic Writings. The four issues were published by Chaos! Comics from late 1997 to mid 1998.